Cheap Mama Chick: Today and online only, get 50% off select Fall styles at Gymboree! 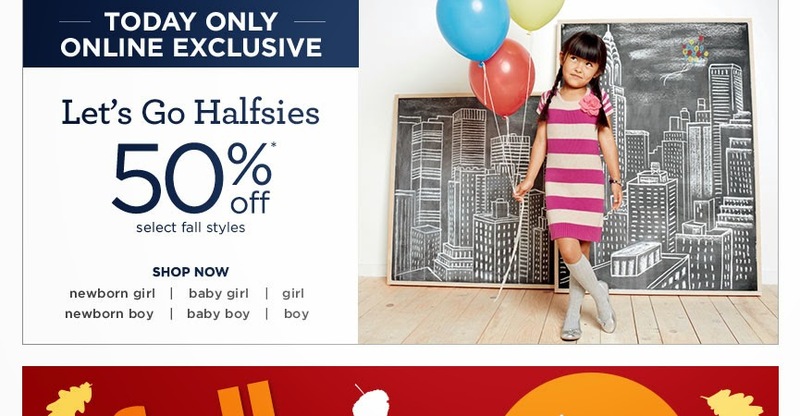 Gymboree wants to go "halfsies" and give you 50% off! Get 50% off select Fall styles at Gymboree here!